Beware! Legal CFD is an offshore broker! Your investment may be at risk. Legal CFD is a Forex brokerage based in EU member-state Bulgaria. 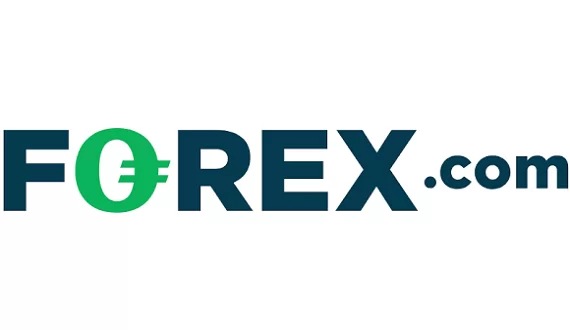 According to the brokerage clients there is a required minimum deposit of $250 which is about the industry average and a wide range of trading products available for clients. 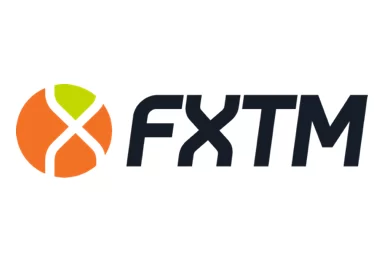 On the brokerage’s website we read that the company behind the brokerage is registered in Bulgaria with the name FTM Consulting EOOD. Bulgaria is a member-state of the EU and the ESMA guidelines are in full force for brokerages operating on the territory of the country. Furthermore, brokerages in Bulgaria have to be licensed by the local Financial Supervision Commission. However, going through the website and brokerage’s terms and conditions we find no mention of a license. After checking with the online registry of the regulatory agency – we can safely conclude that Legal CFD does not fall under any regulatory oversight. Another troubling aspect of the brokerage is the fact we do not have access through a demo account to the purported trading platform. We view this as a serious problem because traders cannot get acquainted with the trading conditions of Legal CFD. Such irregularities are the usual “tell” of a scammer. With no regulatory oversight we can’t be certain about the company behind the operation and whether it will fulfill its obligation towards clients. Furthermore, the lack of a demo account for the trading platform, as well any sort of more detailed information regarding the trading conditions of the brokerage highly inclines us to question the legitimacy of the Bulgarian brokerage. We did find a list of all the Crypto CFDs the brokerage presumably offers – they include Cardano, Ark, Bitcoin Cash, Binance Coin , Bancor, Bitcoin, Dash, EOS, Ethereum Classic, Ethereum and many others. The selection is quite impressive, however, without a test-drive of the platform we cannot be sure whether the brokerage does in fact offer such a wide array of financial instruments. We find no information regarding the payment methods available on the website of the brokerage. Such a lack of clarity is quite common for unregulated brokerage in Forex trading. However, we did find quite a few troubling provisions in the terms and conditions of the brokerage. First of, and perhaps most troubling, Legal CFD openly states that they offer clients so-called MAM accounts that are automatically controlled by the brokerage and clients cannot withdraw from them for the first six months. This is quite a provision and a certain red flag for the brokerage. Furthermore, we find a minimum withdrawal amount of $100. Such a provision should not figure among the terms and conditions of a legitimate brokerage. WDs are difficult if not impossible to get – I have been requesting since November – to no avail – but did in face get my initial 250 EUR refunded recently. The named business as ‘operating’ the brand name ftm consulting, Bulgaria, may have ‘gone into liquidation’ and their name has just been removed from the main web page today. Still no funds and their website says you can have the withdrawal in 1 working day! What a scam! I also had an individual of KM and PT, one is apparently security and one the account manager but no contact since the withdrawal after I made it clear I wanted the funds. Yes I have!! Been trying to contact them for many weeks with very few replies with excuses like the account manager has moved on. Worst thing is I don’t know what to do next, anyone got any help? I have been trying to get hold of them for many weeks now looking into getting a withdrawal aswell. I finally said received a response after a very blunt message this is what I receive ‘Hi Elliot, I have just made some enquiries for you and I have been informed that the UK department is currently being reallocated . This means that we do not have any Account managers handling UK clients for the next week. Once the Australian and Far East accounts have been scheduled, the UK accounts will be re allocated. our apologies for this , but the Account managers are currenly working differnt hours in this respect and this is causing delays.’ I find this very odd how this happens just as I’m trying to withdraw. Any know any action I can take against them if they continue to not allow me to withdraw? I think they are the same people as cryptobanc.net. Cheater and scammer of the worst kind. They pretend to be friends and maybe pay them. WhatsApp and they are happy to give you their private phone number and try to make you a “golden trade”. 15% brokerfees even if they have said they profit directly from the profits. Even if you pay, you will not get any money. The worst of them was “Danny Crane” and had an American slang. No matter what they tell you: Do not believe them and do not pay a penny anymore. They tricked me that way. Could it be the “site operator FTM Consulting” is in cahoots with them because cryptobanc.net has the same company? I reported the manager to the police. And what do you want? Maybe we can somehow join forces. I opened a Trading account with LegalCFD and along with my personal Broker the account has grown quite well Trading in Bitcoin. I am attempting to withdraw funds but the Legal Department of LegalCFD are reluctant to approve this until the comment referenced using my name AIKMAN is rescinded. LegalCFD are suggesting I placed this comment with is entirely false. Are you able to assist me so that I can get my funds back by either removing this remark, changing the name or inserting the post that I have attempted to place on your website. My comments aim to refute this remark as NOT being connected to me and having been made by a person unknown to me. I am simply looking for your website to assist me with posting my comment so I can LegalCFD to release my funds. Can you please assist me asap. I haven’t got my money back yet. They keep stalling. Definitely a scam and a very well done one. I hope they do get shut down asap. It’s just disgusting. Don’t Deal with a person called Phil. I have been watching the trades and looking at the receipts of the trades and they say open at usd-aus 68.543 and close at 73.5. they are only open for 5 minutes and they do not reach that level. also wont give withdrawls either. Faye i have been scammed to the tune of USD 44k which i put in and also about US 81k in profit. Total US 125k. these guys need to be shutdown. I wonder whether A current affair will do a story. Dylan is the same bloke I Deal with.. is he in the UK or elsewhere.. I swear I will find him one day.. have now been blocked from phone calls and the prick won’t answer emails.. how have you gone since..
LegalCFD are unlicensed and are fraudulently using our name and company Reg No when asked to back up there claims. CFD ACCOUNTANCY 08976957 have nothing to do with these scammers. A poor woman has alerted us to this today – the matter is now with the police! LegalCFD are using my works name and company registration number CFD ACCOUNTANCY 08976957. We have nothing to do with these fraudsters! Please don’t waste your money and avoid them at all costs! LegalCFD are illegally trying to associate them selves with a Legitimate company in the UK, they have never and will never be associated with CFD Accountancy, and we have proof they are trying to make out they represent our company. If you have had dealings with LegalCFD and have proof they have used our name or any other please report it to Action Against Fraud with as much information as possible, and let us all unite to bring the scum down. They are not only happy to relieve you all of your hard earned money, but also destroy company name and reputations, that have take years to build up. A massive scam which I’m disappointed with since it was advertised on a local news site with reference to how great it was! I’ve been threatened, verbally abused and they matched my deposit with a ‘free bonus’ I didn’t ask for refusing to let me do any withdrawals even without that bonus now that I’ve made money trading myself unless I deposit more for ‘money laundering’ reasons. If anyone has have any luck making withdrawals I’d love to hear from them if only to get my initial deposit back.